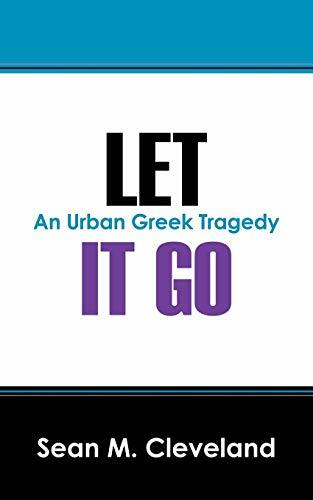 The story of Moe, Keyla, Stephanie, Slide and Cherry is a clear example of an Urban Greek Tragedy in relation to not understanding the dynamics of Love. The idea that some loves shouldn't last and need to be let go of. Even when they are true and deserving loves, sometimes because of circumstance or just because of the timing they should not be held on to. Some loves are one sided and are doomed from the start, because only one person feels it. It's a lopsided love that can cause serious problems, so it should be let go of. And then there is the fact that all loves to some degree are possessive leading to those experiences that cross the line into the obsessive, the controlling and the out of control. Turning the idea of Love into an abusive situation that should be let go of. And sadly there are a great many loves that are tainted by their own misinterpretation. Meaning that some loves have no respect in them, some loves have no understanding in them and some loves anticipate more than they should. We as people are flawed by design and as a result so are most of the Loves that we attempt to share with one another. And unfortunately a lot of the time we feel a Love that should not last or that can't sustain itself under the pressures of the lives we've chosen to live. But because it is Love we stay connected and hold on to it with all of our might, even when it hurts physically, even when it undermines our character and even when it no longer looks like Love. And it will remain an unfortunate circumstance until the day we as creatures of emotion who are brave enough to be vulnerable, smart enough to recognize it at first glance and tough enough to work at it, learn that sometimes even with Love; You have to Let it Go.